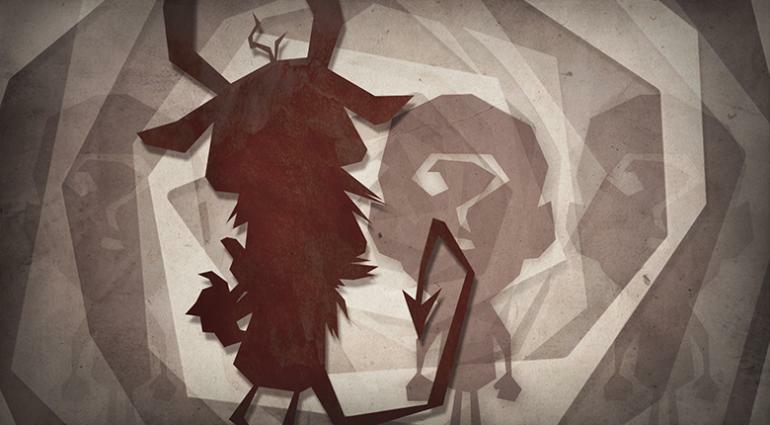 did Klei state that the first new character will be Wortox, or is it just a (very likely) assumption? Assumption due to the large similarities between the silhouette picture on the roadmap and the old unimplemented character. Since this has sort of become a discussion thread on Wortox, I'd like to ask if anybody knows what sort of pose he's actually doing in his silhouette. I initially thought he had his hand on his chin, but the other arm still widely confused me. Like, does he have tufts of fur on his shoulders, or are those his hands? I'll put the photo here so you can judge for yourself without having to click the back button a bunch of times. Seeing Wortox being added is like seeing Webber for the first time in the RoG snow teaser trailer when he also was an unimplemented character. Maybe Wortox,, being (presumably) a Krampii, could start with a Krampus Sack and not accrue naughtiness points. Likely hated by most mobs. Can't kill butterflies or rabbits but can catch them. Possible ability to infuse no-eyed deers with gems! Or I'm just getting my hopes up . . . I am wondering what sorts of pros/cons a character like Wortox would have. My first assumption was having the Monster tag like Webber due to appearance, but...good point about the Krampi being friends of the small and the fluffy. Good ideas exept how would the no killing of certain animals work? if he cant kill rabbits what stops another player from doing it for him, and where would we draw the line and say things he could kill. Not being able to kill pigs would mean single players could only ever get 8 football helmets. Not a fan of this "not kill X or Y while playing character Z" but anyway it can stop with the non-killing mechanic at monsters - and Werepigs are considered monsters (even though they drop normal meat), so to mush your friendly neighborhood PorkerPeter you only need to stuff it with monster meat and voila, football helmets galore. What if Wortox could gain ice/fire manipulation powers like Klaus does? Or the power to craft collars to enslave the No-eyed Deer? Winnie is confirmed to be added, because there are recently added voice files and even the "yawn" audio file (in case you are unaware, that is an emote in DST). To the best of my knowledge, there were no new audio files added for Winnie recently. That would be the point. He'd need other players to kill rabbits and butterflies. Considering he's (presumably) a Krampii, he could likely kill pigs no problem. And if not, just Werepig them. Character downsides are often meant to be overcome through coop with other characters that help fill in what they have a weakness in. Why would they add a character that didn’t even have a downside in mp but was unplayable in single player. Good. Winnie is probably the stupidest possible character. A strangely interesting idea, though it would be weird with due to her skins. Then I feel very sorry to disappoint you. There will be added more unused characters than just Wortox. Winnie's yawn is older then half the stuff in DST. Only way I could see that no-murder con working is if Wortox were a vegetarian and had no desire for the usual meat sources. Which...oddly seems like it would work? Some reason to make use of the plant-based food options in the game would be neat. There are actually good healing options from farms. 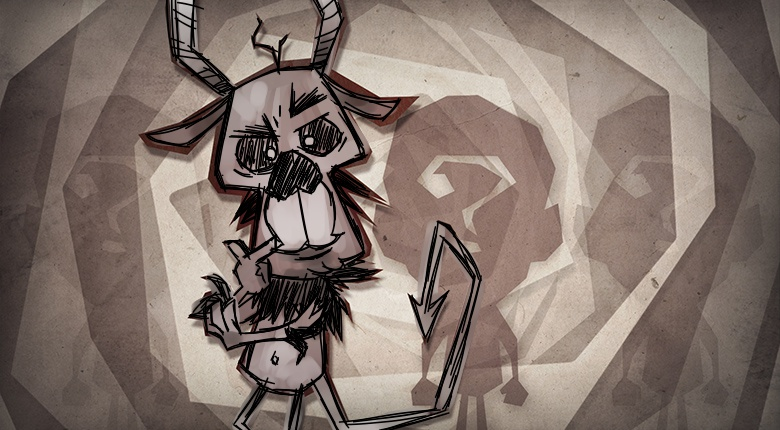 The only reason the crew of Don't Starve would harm the innocent creatures at all is to survive in the extremely unforgiving wilderness that they're trapped in. For beings that are clearly intelligent to a degree like the pigs and bunnymen or creatures who have very little to offer at all like Glommer, it can easily be considered it as morally wrong, (Though in Webber's case it's entirely justified seeing as how they attack him on sight, if only out of fear) but for most other things that they only want to eat and collect needed materials from, well it seems kind of unfair to deem them as "bad". And if you think about how Klaus, the apparent leader of the Krampii seeing as how he can summon some during his fight, and how the characters will comment on how he's imprisoned the Gem Deer to fight for him, well it's awfully contradictory to the whole "punishing people for harming animals" ethic. 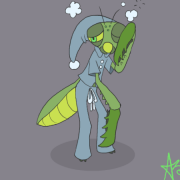 (Though maybe said Krampii are also being forced to serve him against their will?) And while it's likely more due to game design, it might also be telling that the act of killing the Krampii themselves doesn't incur any naughtiness points. Now as for why they would need a reason to show up and steal stuff from the survivors at all, well I have no idea ha ha. The constant is a very strange place though so I don't think it would be too far fetched. 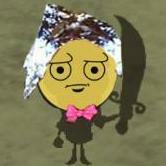 Sorry to go all game theory like that, I just had fun coming to this conclusion and wanted to share it with y'all. 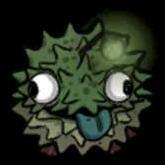 I work at Klei - he's coming out today. I'm pretty sure DST releases big updates exclusively on Thursdays (mostly, anyways).